This is somewhat of a long post and unfortunately I may not be able to post up a review (we’ll see, it might be hitting close to the deadline, but we’ll see) with the blog tour so I’m going to be breaking up Pirate Lairs into three parts and posting it over the day, followed by a pirate game and another feature. First up is Tortuga, enjoy! She’d bet money there was a hidden cove nearby. Some cache of additional fuel. Temporary shelter from the fury of a sea storm on open water. They must’ve been heading that way, when Winnie and Henry crossed paths with them. But where? It wouldn’t be on the map. And dead men tell no tales. escape their predicament. Feel free to find out! 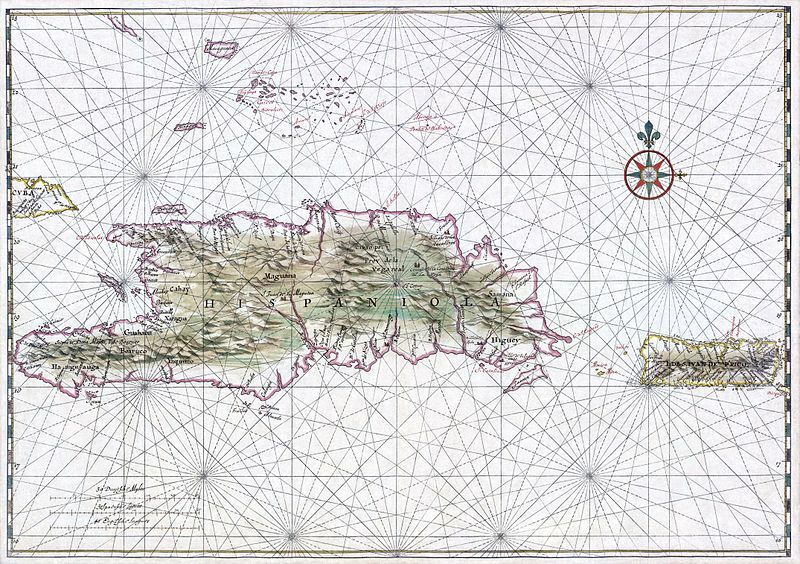 A Caribbean island off the coast of Hispaniola, and very nearly the epicenter of 17th century piracy, due to its proximity to trade routes, ill-defended settlements, and social or political volatility and unrest as three nations fought for control of the region. ‘Tortuga’ is the Spanish word for turtle, and the island was so named because, with its elongated shape and bumpy surface terrain, it had the appearance of this slow-moving denizen of the deep. The island was originally settled by a few Spanish colonists. The arrival in 1625 of French and English settlers caused disputes, but Spanish fleets were too occupied with defending the nation’s claim on the larger Hispaniola. 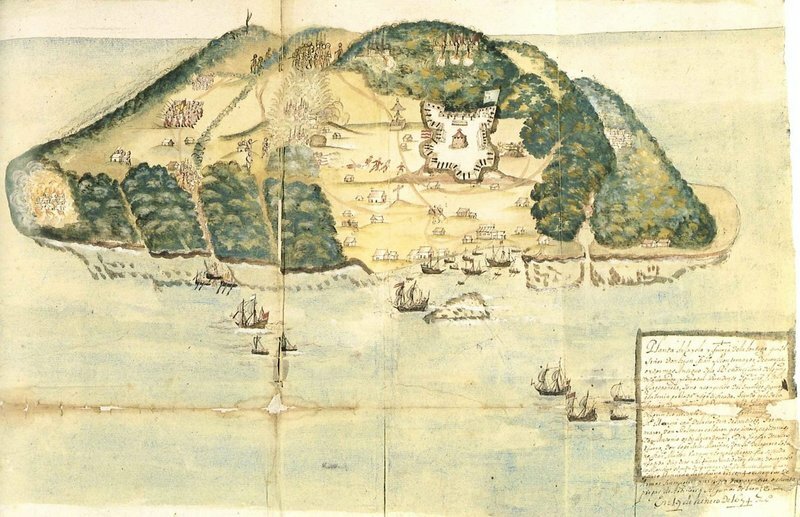 From 1630 onward, the island was effectively split into French, English and Spanish camps, all splintered — and buccaneers and other lawless types, finding little resistance or attention from the Spanish fleet, found the island an attractive place to use as a home base. Tortuga turned out to be an important island, strategically. Cuba lay to the Northeast, the last stop of many treasure fleets before their return to Spain. France remained at odds with Spain through most of the 1600s, and Tortuga was a perfect spot for privateers to lie in wait before ambushing Spanish galleons sailing back home to Spain. The governor of Tortuga in 1665, Betrand d’Ogeron de la Bouere, was himself reportedly a former adventurer and pirate, who won the political post of governor of Tortuga through the power of the West India trading company. However, even the governor of Tortuga knew enough not to cross the various pirate crews who’d made the island their home base. He would’ve had to win and keep the allegiance of pirates, even while trying to maintain order, a tricky path to walk. One of the earlier governors of Tortuga, a French adventurer named Le Vasseur (or Levasseur) had managed to keep himself in power for some 12 years before evidently getting himself assassinated in 1653 by his own adopted heirs. Yes, well, that’s the sort of place it was. Restive. Piracy took an even firmer hold following the English throne’s claim to Jamaica, wresting it from Spanish control in 1655. The early English governors of Jamaica scattered dozens of letters of marque to Tortuga buccaneers, essentially free rein to make war on the ships of competing nations. The leap from privateering to outright piracy was a dangerously easy one to make. Anyway, back to the background drama. The French-English-Spanish (and Dutch) fisticuffs on the high seas and on land and all over various Caribbean islands continued for decades. Nearly everyone changed ships and sides, depending on what the pickings happened to be that year, month, day or week, or just around the corner. We can’t cover all the skirmishes in this little travel jaunt or we’ll all be here all day long. But if you’re interested in being all caught up on the drama, you might like to get hold of Wars of the Americas, by David Marley, to find out who did what to whom, and when and why. Suffice it to say just that it was a chaotic time and an interesting time to be a buccaneer, essentially either a gun for hire or your own master (or mistress), as long as you had the requisite fire and steel in your soul — or in your hands. Some of the more memorable of the island residents, at various times, were French buccaneers Anne Dieu-Le-Veut and Jacquotte Delahaye, both profiled in the Pirate Queens series during Random Magic Tour: Pirates! Tortuga is one of the names most easily recalled and linked to pirates in popular culture nearly 300 years later because it’s a memorable setting for the swashbuckling adventures of the fictional Captain Blood. Writer Rafael Sabatini chose the Caribbean Sea for his bold captain’s stomping ground, in the novel Captain Blood (1922). ‘C’est vous qu’on appelle Le Sang? the fellow hailed him. Captain Blood looked up to consider the questioner before replying. The man was tall and built on lines of agile strength, with a swarthy, aquiline face that was brutally handsome. A diamond of great price flamed on the indifferently clean hand resting on the pummel of his long rapier, and there were gold rings in his ears, half-concealed by long ringlets of oily chestnut hair. Captain Blood took the pipe-stem from between his lips. The novel was wildly popular and the basis of radio programs and films. The most well-known version of Captain Blood is the 1935 version, starring Errol Flynn in the title role. Tortuga is also featured in one of Sabatini’s later novels, The Black Swan, and the 1942 movie based on the novel. Next up is Port Royal. Please keep an eye out for more about Pirate Lairs within the next hour! I was wondering where I’ve heard of Tortuga before; it seemed so familiar. Then I remembered it was in the Pirates of the Caribbean 2.
fisticuffs on the high seas – love that imagery. great post!